Chandra Easton teaches Tibetan Buddhism and Shadow Yoga in the Bay Area. 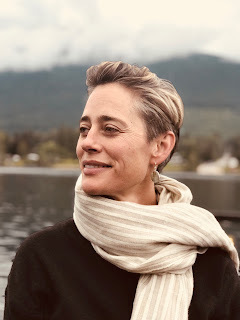 Chandra Easton studied Buddhist philosophy, meditation and Tibetan language at the Library of Tibetan Works & Archives in Dharamsala, India, founded by H.H. Dalai Lama. She later received her degree from UCSB's Religious Studies Department where she translated Tibetan Buddhist texts with Buddhist scholar, B. Alan Wallace. She co-translated Sublime Dharma, A Compilation of Two Texts on the Great Perfection, published by Vimala Publishing, 2012. Chandra has had the good fortune to study with many Tibetan & Western Buddhist teachers such as H.H. Dalai Lama, H.H. Karmapa, Gyatrul Rinpoche, Adzom Paylo Rinpoche, Lama Pema Dorje, B. Alan Wallace, Lama Tsultrim Allione, and Jennifer Welwood. Chandra began studying yoga in 1993 and started teaching in 2001 after training with Sarah Powers. In 2003, she began to study with Shadow Yoga founders, Zhander Remete and Emma Balnaves. In the Spring of 2012, she completed a three-year teacher’s course with Zhander and Emma and is now authorized to teach Shadow Yoga. Chandra & Scott run Shadow Yoga programs in Berkeley and San Francisco. Learn more about our Shadow Yoga schedule. Chandra lives in Berkeley, California, with Scott and their two children.